Artisan salty appetizers for catering, hotels and restaurants, simple and easy to prepare, prepared with the utmost care making each tapa a unique product and great taste. 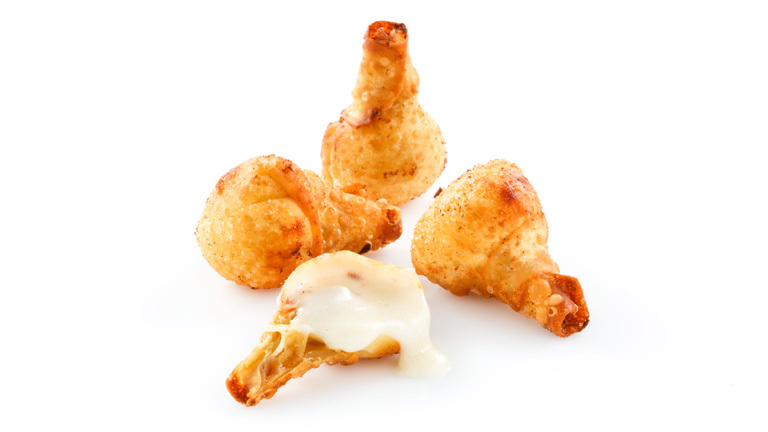 Luxury Tapas has created a whole range of appetizers with the finest materials and with origin-certified local products that can be baked, deep-fried or grilled to enjoy the most crispy, appetizing tapas. 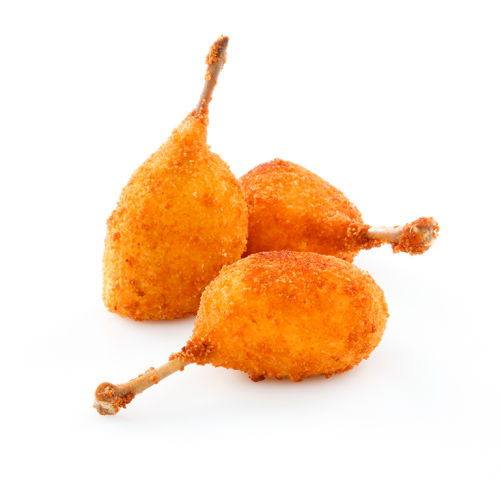 We offer a diversity of Bombas, Mini-croquettes, Iberian Ham and Manchego Cheese Tapas, Chorizo Crunchy Cigars, Villaroy Quail Drumsticks among others. 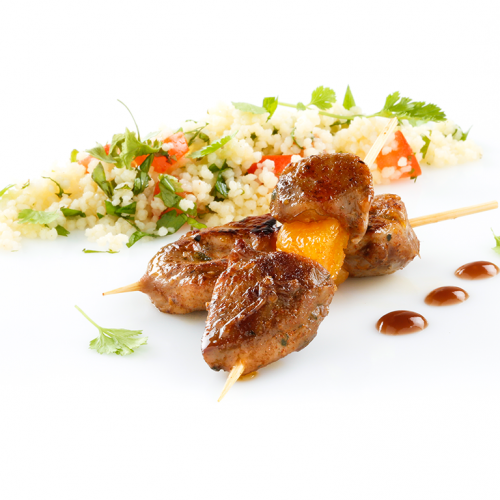 Let us be your gastronomic ally to facilitate your cooking processes and preparation times. Cheese dumplings “bombas” and Luxury Tapas are two notions that go hand in hand. 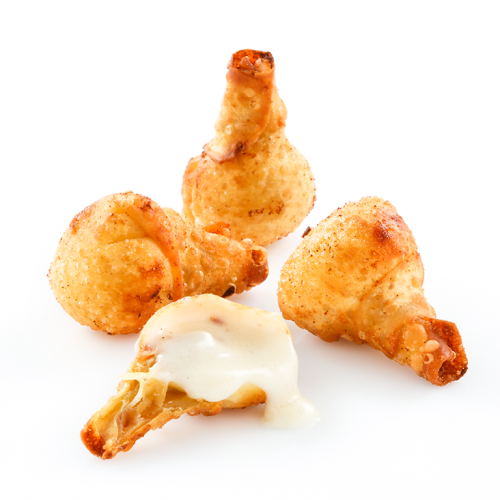 When we decided to expand our horizons and envisioned new solutions for catering and event companies, the cheese bomba (dumpling) was the first product we created, and it is still a best seller among deep-fried products. 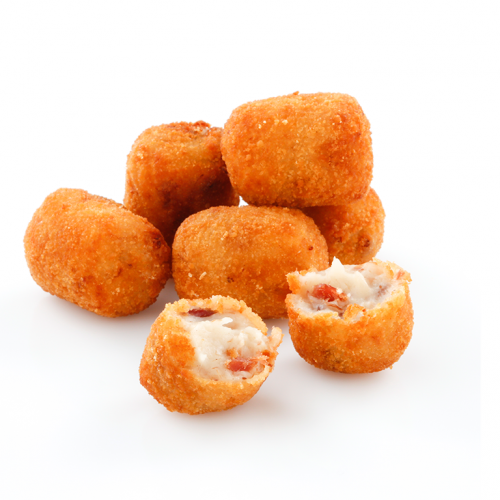 An explosion of origin-certified Manchego cheese with a hint of raspberry. Not easily forgotten! 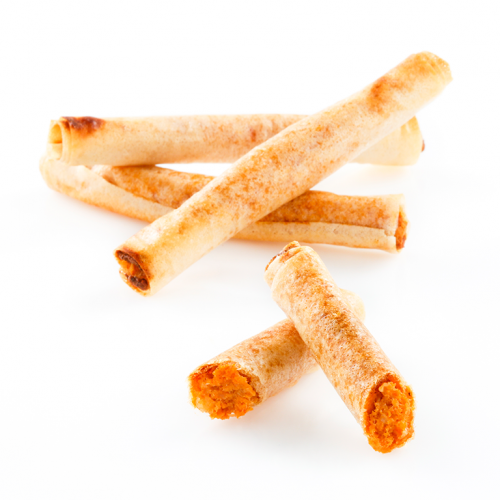 If you would like to offer innovation, creativity and a crunchy, delicious taste in an appetizer format, try our various «candies»—a remarkable, innovative and high-demand product made of pâté de foie, pheasant or partridge spread. 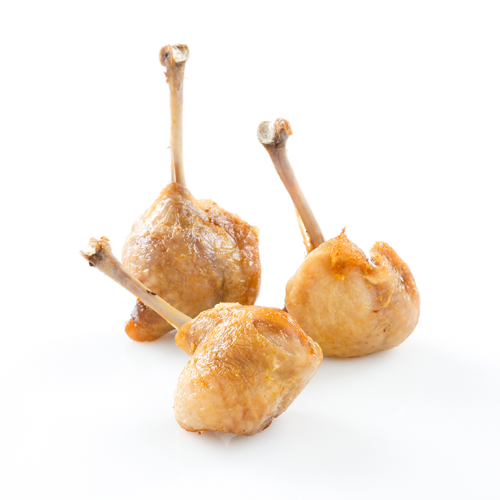 The “traditional Spanish tapas” range of deep-fryer appetizers includes some traditional and game products. Chorizo Bombas, Quail skewers and drumsticks, mini-croquettes—all are classics of outstanding quality that will win over every palate. Looking for a fancier alternative? 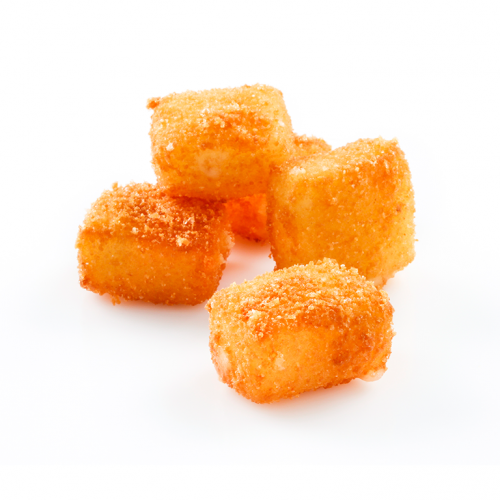 We have many more options in deep-fryer appetizers: for example, Manchego cheese cubes, and shrimp-and-spinach or salmon-and-bacon mini-crepes. Salty handcrafted appetizers for catering, hotels and restaurants—simple and easy to prepare, made with the utmost care in order to make every single tapa a unique, tasty product. 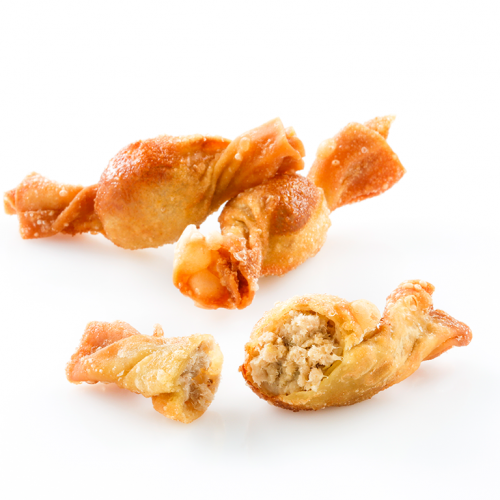 We offer a variety of dumplings “bombas”, mini‑croquettes, crunchy cigars, quail drumsticks and quail bits, among many others. 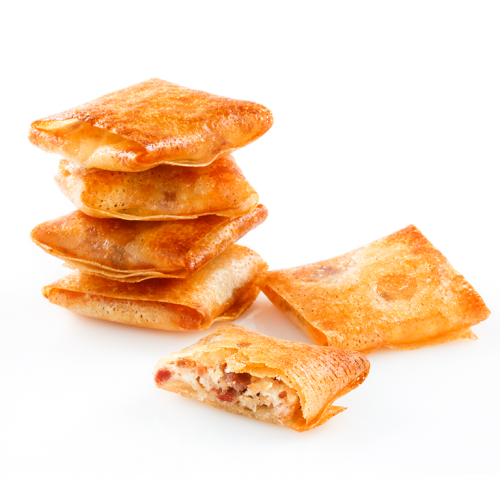 We want to be your gastronomic partner and help you simplify your cooking processes and your preparation times.